NEW YORK -- Bobbi Kristina Brown will be buried next to her mother, Whitney Houston, in New Jersey, sources said Tuesday. Services for Brown will be Saturday, Aug. 1 at 11 a.m. at St. James United Methodist Church in Alpharetta, Georgia. 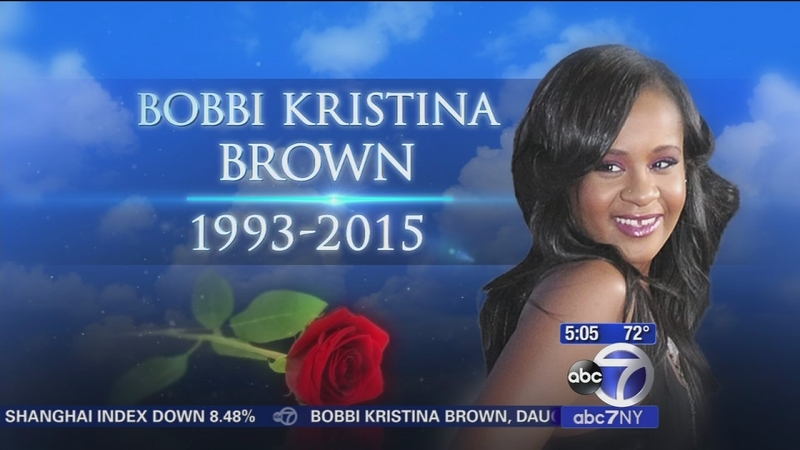 Her burial is set for Monday during a private ceremony at the Fairview Cemetery in Westfield, N.J.
Brown, 22, was the only daughter of singers Bobby Brown and Whitney Houston. She died on Sunday. A police investigation is under way into the exact cause of her death.